Emily-Rose is always excited to visit her Grammy on the farm. She always looks forward to these visits because she loves spending time with her Grandmother, and she also enjoys watching her Grandmother feed the farm animals in high hopes to one day (soon) have the responsibility of feeding them on her own. Whenever Emily-Rose would ask her Grammy to feed the animals her Grandmother would always tell her that the animals are very ‘rambunctious’ a word that is very new to Emily-Rose who mistook the word to mean having fun instead of it’s true meaning (difficult to handle). It is not until Emily-Rose feeds a few of the farm animals (Chickens, Pigs, Ducks etc.) that she learns the meaning of ‘rambunctious’ and she comes to the realization that feeding the animals is not as fun as she thinks it is. In the end, Emily-Rose learns a dear lesson. I love this sweet book! Emily Rose, like most growing children are not afraid to try, but often find themselves in over their heads. I think her Grammy did a great job teaching her a new big word, “rambunctious” and demonstrating with the animals what the word meant. I look forward to purchasing this book for my great nieces and nephews. This is an excellent book for new readers. One young children will be clamoring for you to read to them. I read it to one of my neighbors little girls and my grandson and both loved it a lot. We read it several times already and they are always asking for it. Emily Rose’s Day At The Farm is a gorgeous little book aimed at preschoolers. The story is beautifully told as Emily enjoys a precious day feeding the animals on her Grandma’s Farm. Grandma keeps calling the animals “rambunctious” and by the end of the story Emily has learned the meaning of the word. The book is well written apart from one small error where the author accidentally slips from past into present tense. Because it was an advance review copy that I received, the author may well have rectified this issue by now, and I wouldn’t normally pick up on just one error in a review, however because this book is aimed at young children then it is critical that it is error free. Emily-Rose’s Day at the Farm, written by Ms Simone Da Costa, is a delightful children’s animal-themed pictorial book that introduces young readers to the concepts of listening and learning through a charming story containing farm chores and farm animals. Emily loves to visit her Grandma on her farm. Her favorite thing to do is watch her Grandma feed all the animals. She would love nothing more than to feed the animals herself, but her Grandma says the animals are too “rambunctious.” Today Emily will experience the true meaning of her grandmother’s statement and the word “rambunctious,” when she finally gets to feed the farm animals. Ms Simone Da Costa has written a wonderful interactive teaching resource for educators, libraries, and parents to utilize. The story plot allows children to gain knowledge of all the different animals that exist on a farm, what they eat, and their behaviors. A reader can expect to learn a new vocabulary word, “rambunctious,” in a fun and interactive way when reading Emily-Rose’s Day at the Farm. Young readers will gain a visual image of what each individual animal looks like with the creatively and simply designed illustrations and become acquainted with the sounds each different animal makes as they read the easily comprehensible story, and learn about the eating habits and favorite foods of each animal on the farm. 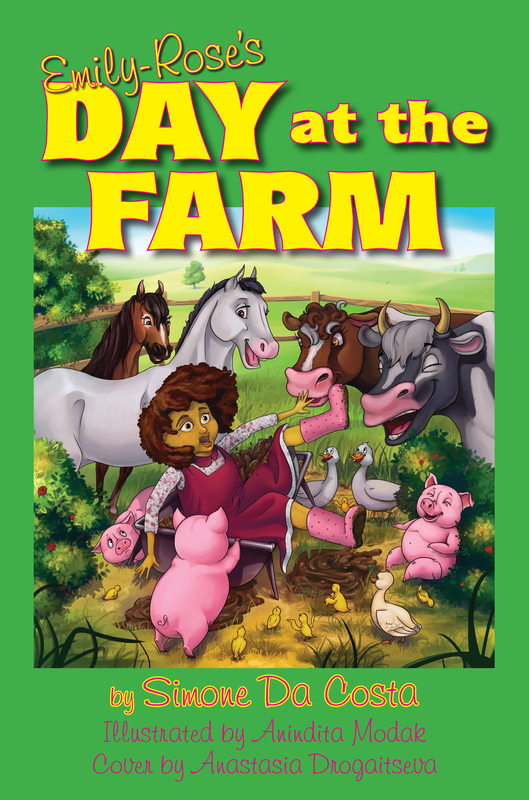 With its beautifully illustrated pictures, interactive story plot, and learning exercises at the close of the story, Emily-Rose’s Day at the Farm is sure to become a favorite of adult and youthful readers. Emily-Rose is a delightful little girl who enjoys visiting her Grammie at the farm. She is always eager to help out but her Grammie usually doesn’t let her help feed the animals because they are too rambunctious. Emily-Rose is uncertain as to the meaning of this very long word. She thinks Grammie wants to have all the fun feeding the farm animals. One day, Grammie decides to let Emily-Rose “enjoy” the experience of feeding all the farm animals. Emily-Rose soon discovers the meaning of the word rambunctious. She is now quite content to let Grammie have this not-so-easy task. 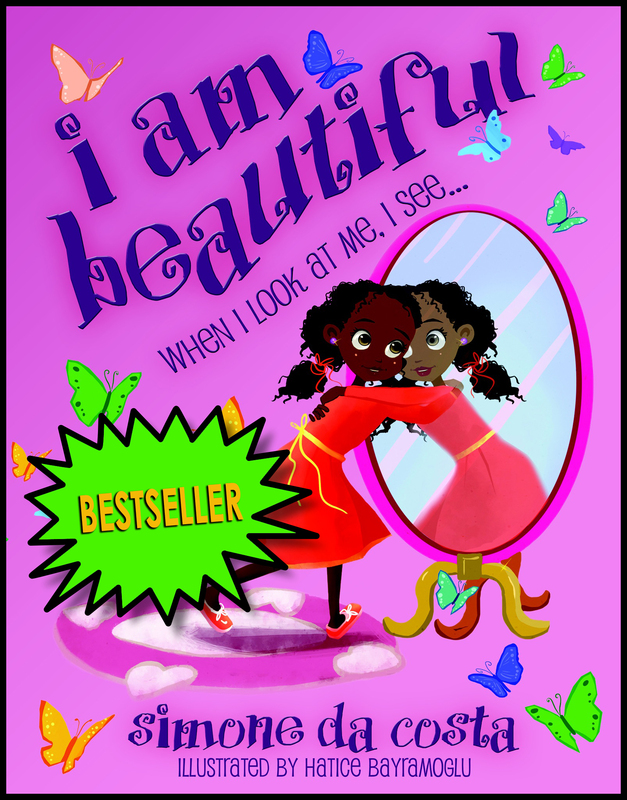 The colorful illustrations are great and they are sure to be enjoyed by young children. Also…great additional educational pages at the end of the book. Emily-Rose loves to visit her Grammie and watch her feed the animals. She always looks forward to her visits on the farm., but wishes she could be the one spreading the corn and slopping the pigs. This particular day becomes very special: Grammie is going to let Emily-Rose feed the animals! Grammie warns her that the animals can be rambunctious. This is not a problem for the little girl, since she has no idea what the word “rambunctious” means. She soon learns what it means, though, when she finds that the animals are very demanding at feeding time. Throughout the morning, they chase her, run away from her, and splash her clothes while they eat. Emily-Rose finally decides that perhaps she isn’t old enough to take on feeding chores just yet. Simone Da Costa has done it again. 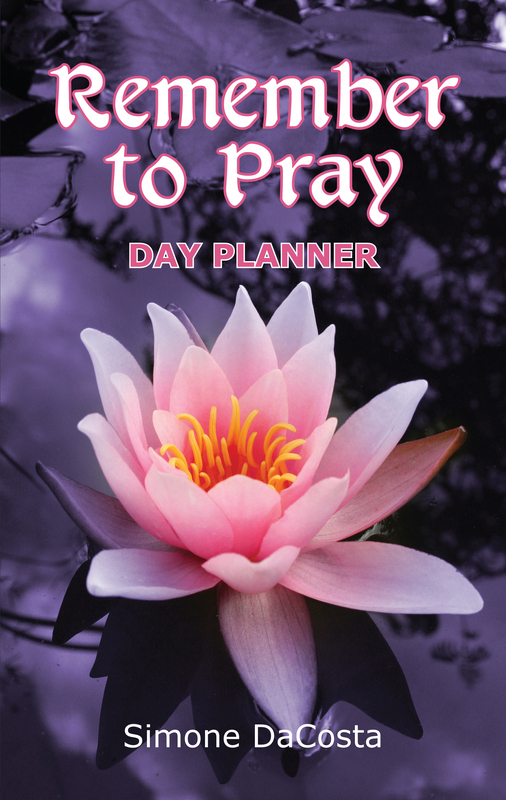 I love her books–simple enough to keep a child’s attention, and gentle with her lessons. My copy of the book didn’t have pictures, but if they are anything like the front cover, I am absolutely certain that children of all ages will delight in them. I love the artistry! There was something for adults to learn here too; go ahead and use grown-up words, but when it’s really important for the child to understand what you are saying, make absolutely certain that they know what you mean. Or you may end the day by cleaning pig slop out of their clothes. Emily Rose’s Day at the Farm is a fun children’s book with bright pictures. Reading this book will help young children learn about respecting animals. Emily thinks Grammie is being selfish not letting her feed the animals. When Grammie allows Emily to feed the animals by herself she learns about valuing the experience of older members of the family. The story describes animal behaviour and how much work is involved with looking after rambunctious farm creatures. A word search and match game is provided at the end of the book which reinforce the book’s message. I would have enjoyed reading this book to my children when they were young. I received an arc from the author in exchange for an honest review. As a reviewer it is easier to review if the illustrations are part of the arc. Emily-Rose loves visiting her Grammie on the farm; however, she’s not allowed to help feed the animals because Grammie says that they are too rambunctious. Then, one day, she’s finally allowed to do the feeds with Grammie and she’s so excited. However, the experience is not what she imagined, animals do get excited at feed times, and soon Emily-Rose finds out what the word rambunctious means. I live on a smallholding with chickens, sheep, goats and a horse so this type of children’s book always appeals to me. When our grandchildren visit, they love to ‘help do the feeds,’ and I found the authors descriptions of the animals’ characters, and Emily-Rose’s reaction to them were so accurate, it had me smiling throughout. 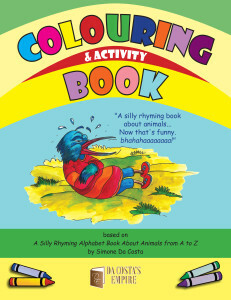 A lovely, bright, colourful and beautifully illustrated children’s book which provides plenty of opportunity for interaction between adults and children. The story contains important messages, and it has the added bonus of two games pages at the back. Emily-Rose loves to visit Grammie’s farm. But this time Grammie lets her feed the animals—which she calls rambunctious. Emily-Rose will learn what that means, after a long day of feeding, getting dirty, milking, and being chased. This book by Simone Da Costa introduces children to a variety of farm animals and the work that goes into caring for them. The colorful illustrations by Anindita Modak, beautifully expresses Emily-Rose’s feelings throughout the book. There is an added bonus of a couple of animal word games at the end of the book! I was given Emily-Rose’s Day at the Farm for exchange of an honest review. To be able to give an honest review, I decided to read the story to my two younger children… to get their opinion of this children’s book. My 3-year-old was quiet until we hit the part of the story that included the animals, he didn’t want me to turn the page until he could point and pet each animal per page. So to sum it up, this is a great book to have in any child’s home. It’s entertaining and educational, and my son has already asked me twice if I would read it again. 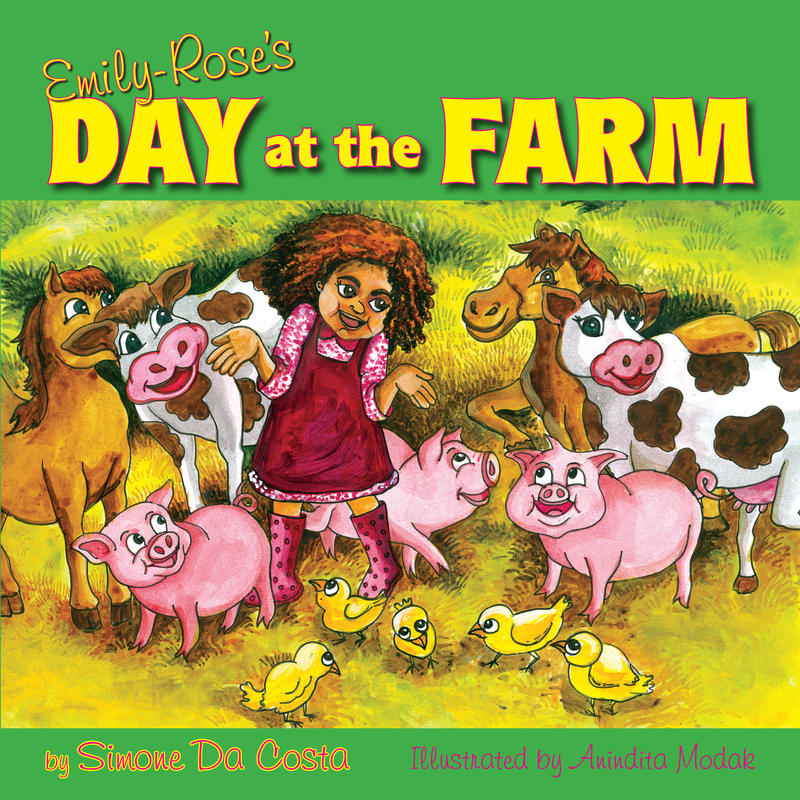 Emily-Rose’s Day at the Farm by Simone Da Costa is a very delightful children’s book. Little ones will love the bright colored pictures as they listen as will those old enough to read it. Emily-Rose always wants to feed the animals on her grandma’s farm but is always told that the animals are too rambunctious. That is the problem…. Emily-Rose does’t know what rambunctious means. On this trip to the farm Emily-Rose gets to feed the numerous animals and finds out what the word rambunctious means. I was given an ARC to read and review. This had no influence on my review. I am a school librarian and can’t wait for this book to be published so that I can place it in the library. A very nice little story for children to read with mum and dad (or mom! ), or even grandma and grandpa. It is a nice little tale about a little girl spending a day at the farm feeding the animals. Emily-Rose is a little bit scared at first, but she soon warms to the task, with her Grammie there with her. It is a beautifully illustrated book too, with lots of bright colour pictures. Kids should love it. Well done Simone! Emily-Rose’s Day at The Farm is an enjoyable book for young children. The farm animals and Emily-Rose’s reaction to them make the book. And like all good books this one has a lesson to teach the reader. “Emily-Rose’s Day at the Farm” is about a young girl with an intense desire to feed the animals on her grandmother’s farm. However, her repeated requests to do so meet with repeated refusals. Then one day, her grandmother surprises her by consenting. It doesn’t take long for Emily-Rose to learn that feeding the animals is not as fun or easy as she thought. Author Simone da Costa, who is a multi-published writer in many genres, has written a children’s story that quite literally will make you smile and chuckle. Not only is it an entertaining, fun story for all ages, but also it is an experience—a full production complete with beautiful imagery, thoughtful activities, emotional appeal (I love the interaction between the three generations), topped off with subtle educational lessons taught through the introduction of vocabulary words, exposure to life on a farm, and the showcasing of animals along with their natural sounds and habits. Da Costa has packed so much into 36 pages, one wonders if she’s a magician. But no, she’s just a deliberate writer with a gift for storytelling. This allows her to blend all the elements of great storytelling into a package of delight. I am of the belief that one can never have too many children’s books in one’s personal library, whether you have children in the home or not. 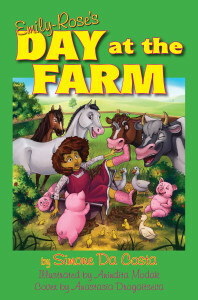 I am also of the belief that “Emily-Rose’s Day at the Farm” should be, no, must be included in the children’s section of your personal and public library. 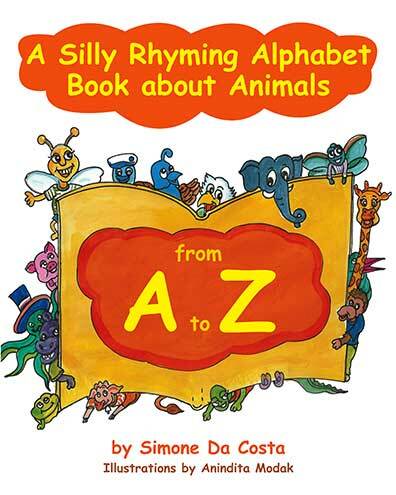 And of course, you can’t have “Emily-Rose’s Day at the Farm” without da Costa’s other children’s book, “A Silly Rhyming Alphabet Book about Animals from A to Z.” No library is complete without these two books. This little picture book is absolutely adorable! Great for learning for young children, and entertaining for older ones! It’s absolutely precious. Simone has a way with speaking to children! “Emily-Rose’s Day at the Farm” is a delightful story about a little girl’s day visiting her grandmother on the farm. In her exciting adventure Emily-Rose learns from Grammie not just about the farm, but about a grandmother’s wisdom and love. Emily-Rose had always wanted to feed her grandmother’s farm animals by herself, but Grammie had forever cautioned her that they were too rambunctious. In this story, Emily-Rose gets her wish, but she soon finds out that Grammie was right — and also exactly what rambunctious means! Grammie takes her to feed the chickens, the pigs, the horse, and the ducks, and then to milk the cow. Emily-Rose learns something new about each animal they visit from her grandmother’s kindly advice and explanations as she is pecked by chickens, chased by ducks, slopped by pigs and in other ways finds out just how rambunctious and unpredictable farm animals can be. Through it all is the calming, guiding wisdom of her grandmother’s loving advice and soothing words. I received this in exchange for an honest review. At that time, the copy I received just contained the print and not the illustrations, so I wanted a little bit to see some of the illustrations so I could comment on both components. I love Emily-Rose’s enthusiasm to spend time with my grandmother. I confess to being “Grandmother’s baby” myself, not only because of the time I spent with my grandmother but because she raised me as well. She is confused at first when her grandmother doesn’t allow her to tend to the animals on her own. Emily-Rose feels like she is missing out on the fun. This wonderful story teaches a number of things. One is the meaning of the word “rambunctious”. Two is that Grandma knows best. Three is that when grownups say certain things, it is not necessarily to take away the element of fun but to make sure one is safe. The activities in the back of the book were a welcomed bonus. The colors of the illustrations were very rich, and I loved the detail invested in Emily-Rose’s appearance, in particular, her facial expressions during the mishaps that she encountered. It will definitely keep the young reader invested while the overall story acts as a viable tool for the parent. I was given a copy of this book for review and found it delightful. Although the copy didn’t have pictures, I was forwarded to where some would be and found them excellent, a perfect accompaniment to the story. It was a clever way of introducing difficult words to young children and the use of repetition compounded the meaning for those beginning to read. A fun story, with an eye to the education of young minds. Emily – Rose’s Day at the Farm is a heart warming story about a little girl who visits her grammy’s farm and is most excited to feed the animals. She learns the hard way what rambunctious animals really are! Each page is filled with bright illustrations. She has one hilarious adventure after the other trying to feed this hungry pack.This story is filled with lots of kid humor and children will delight in seeing Emily Rose get pecked at and splattered in mud. An added bonus is the fun activities at the end of the book. As an educator I can say this one is a real treasure for young ones of ages four up to nine. Simone Da Costa has written a really enjoyable book and both words and illustrations are absolutely enthralling. Farms and farmyard animals are a winner with most kids and this book won’t disappoint. My own grandkids can relate to Emily-Rose and how excited she is when she goes to see her Grammie and feed the animals. Even when the book is closed, the kids will continue talking about Emily-Rose and her day out!